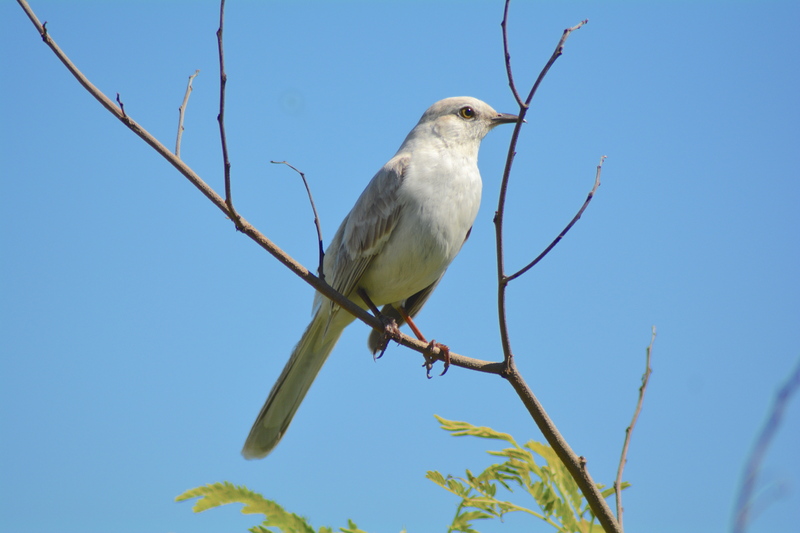 The header image is of a Bahama mockingbird recently photographed by keen-eyed Abaco birder Keith Kemp. It is a thing of wonder and beauty, exceptionally rare and possibly unique. 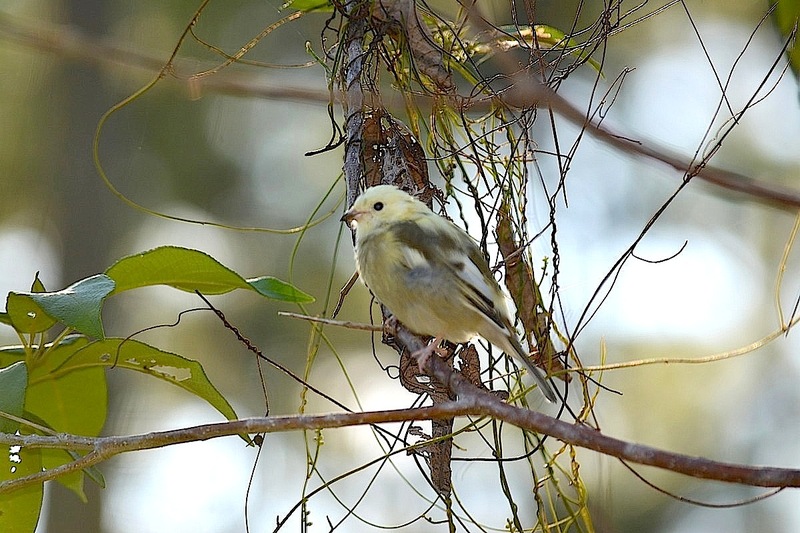 I can find no other example of a leucistic bird of this species online. Even more astonishingly, Keith managed to get a photo of the ‘white’ bird and a ‘normal’ bird together (above). The difference is startling. 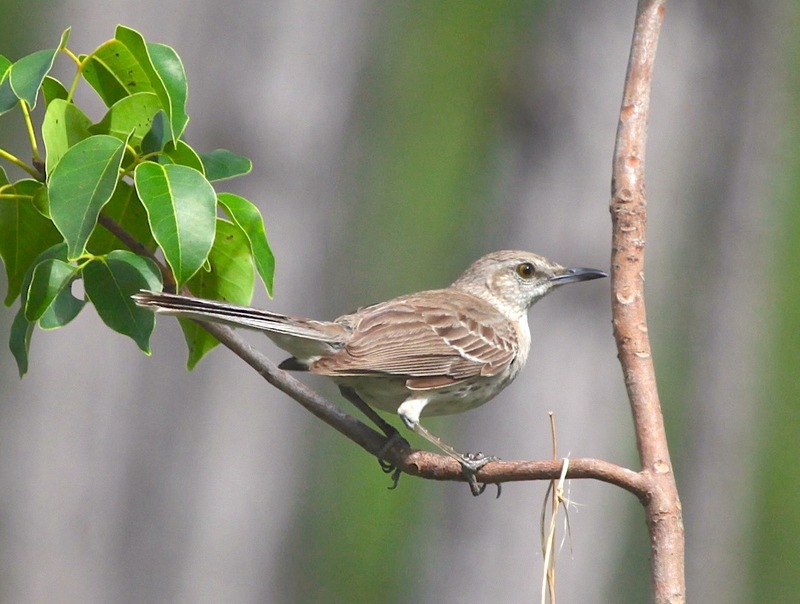 Below is a fine photo by Peter Mantle of a Bahama mockingbird, as you would expect to see one – basically brown with a pale, flecked front / underside. 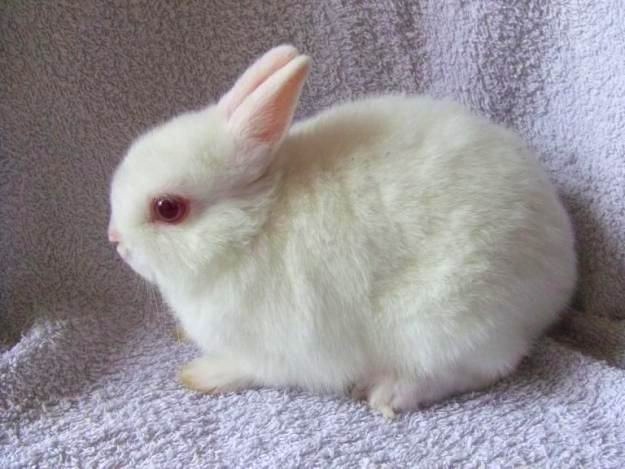 LEUCISM? EXCUSE ME, AND THAT IS? Put simply, melanin is only one of many ingredients of pigmentation. 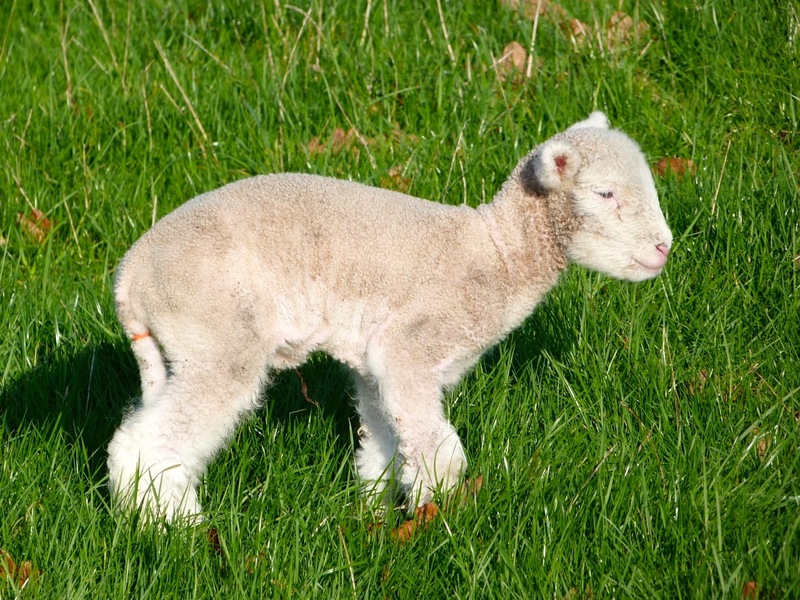 Leucism is caused by pigment loss involving many types of pigment, not just melanin. In birds this results in unnaturally pale or white colouring of feathers that may be partial or entire. The eyes of a bird with leucism are unaffected – so, not pink. At one extreme, if all pigment cells fail, a white bird will result; at the other extreme, pigment defects cause patches and blotches of pale or white on the bird, often called a ‘pied’ effect. The condition can be inherited. 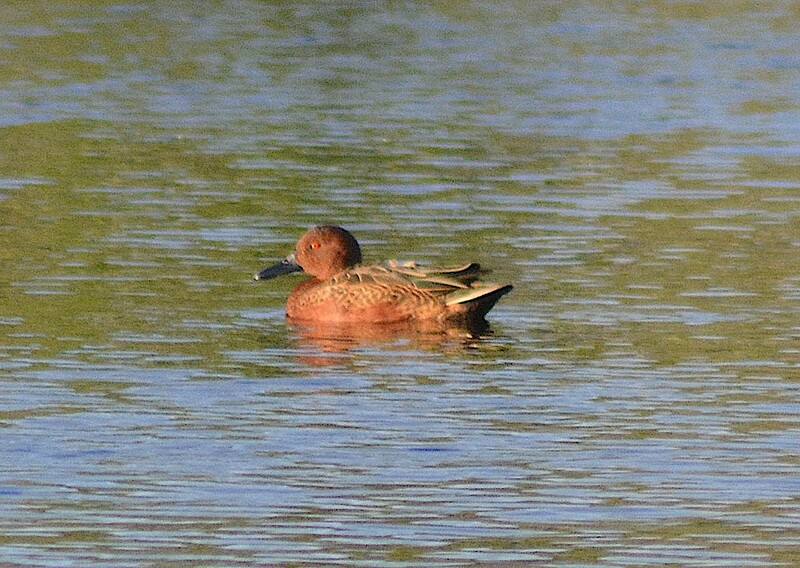 I recently posted about the sighting of an entirely new bird species for Abaco, the CINNAMON TEAL. Almost at once, another species was sighted – not a new one, but in the next category of rarity, the V5 and V4. 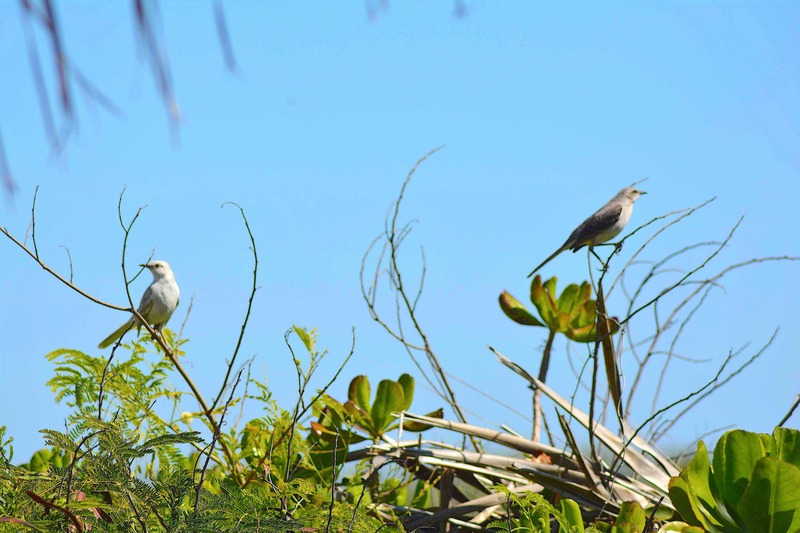 ‘Vagrant’ birds that have been credibly recorded on Abaco / in Abaco waters fewer than 5 times – and maybe only once – are classified as V5 or ‘accidentals’. Birds seen a few times more than that, but irregularly and unpredictably (‘casuals’) are V4s. 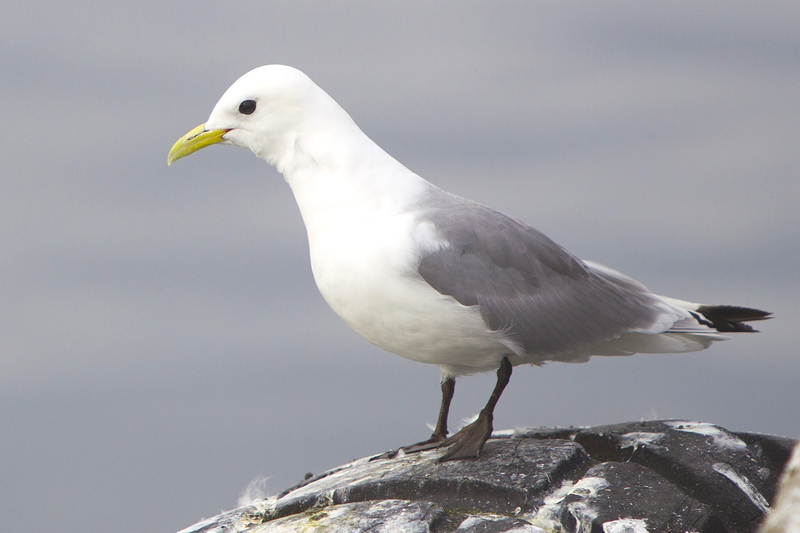 One such is the fine black-legged kittiwake, also known as the seahawk and a close relative of gulls. During the Abaco Christmas Bird Count in December, avid birder Keith Kemp and a small group were checking the beach at Crossing Rocks. In due course he uploaded a list of birds seen, with selected images, to the excellent eBird site. This included a royal tern. Or make that “royal tern”. 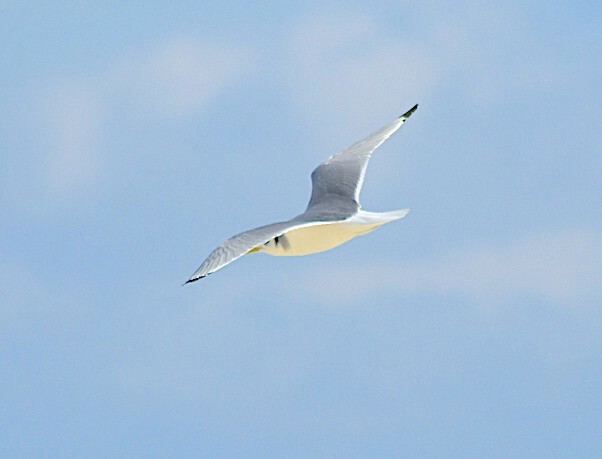 It wasn’t long before sharp-eyed Bruce Purdy from Cornell contacted Keith to say “You shot a picture of an adult non-breeding black-legged kittiwake!!!!!!!!”. 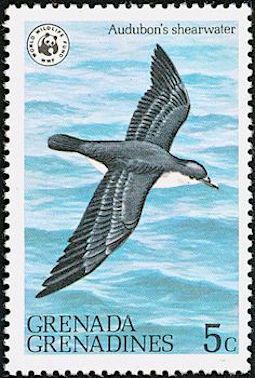 This was confirmed by Bruce Hallett, author of the definitive field guide to the birds of the Bahamas. 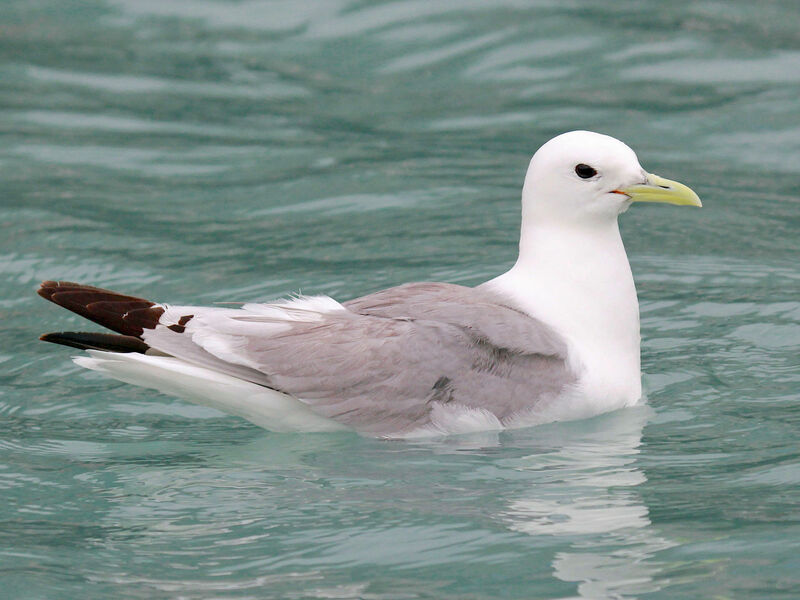 “This is the first kittiwake reported that I know of in the last 20 years. Tony [White] shows a few reports but I don’t know if they were documented. Probably not since most people just started carrying cameras, so you may have the first documented kittiwake… It is a great find”. 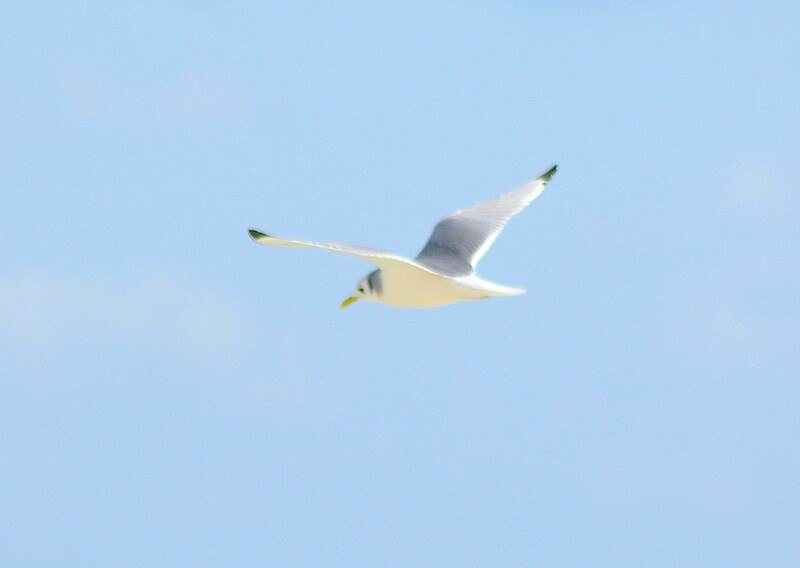 So you are looking at (almost certainly) the first photographs of a kittiwake ever taken on Abaco. 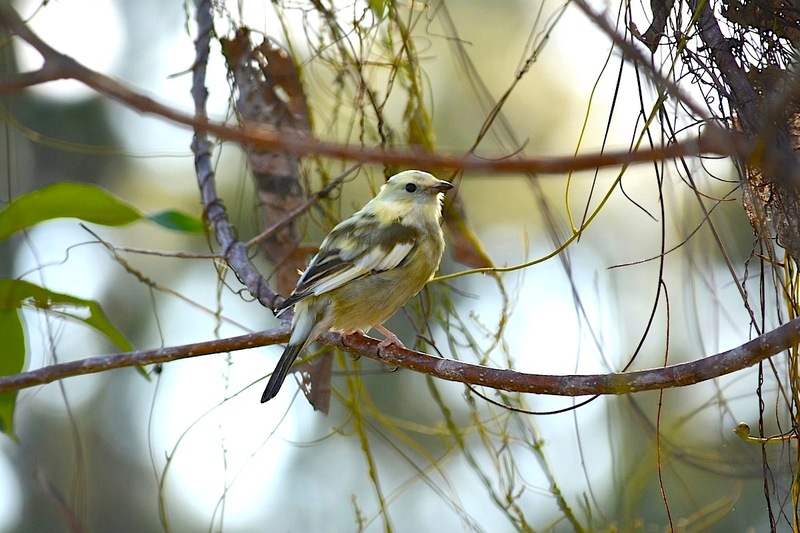 Actually, make that the Bahamas – no others are shown on eBird for the whole region; the nearest being a handful of sightings on the Florida coast. STOP PRESS Keith’s sighting was in December 2017. The very day I pressed ‘publish’ on this post, January 30, two people immediately contacted me to say they had seen this bird in the Crossing dock area in Marsh Harbour! Thanks to Philip Sawyer and Nancy Albury for their sharp eyes and immediate response. Neither managed to get a photo, but two independent witnesses on one day in the same location make for a compelling ID. I imagine this is the same bird (rare enough as a single – the first in over 20 years – so exceptionally unlikely as a pair). Maybe there are rich fish pickings to be had in the MH harbour area. 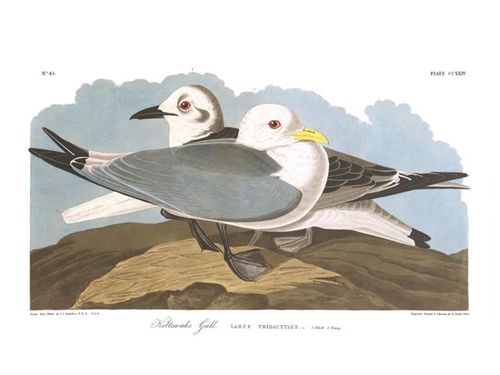 These kittiwakes are a pelagic species, birds of the open sea. They spent most of their time over the ocean, where they live on fish. However, they return to land to breed – often on cliffs, and in large, noisy, nesting colonies. Here’s a very short idea of what that might look and sound like. Keith’s Kittiwake was way out of its normal range. This map shows just how far. I always like to include an image of a species under discussion, as it was depicted by one of the early pioneers such a Mark Catesby or (as here) Audubon. I’ll round off the story with another great source for comparative images – especially as between sexes, ages and seasons – the Crossley guide. 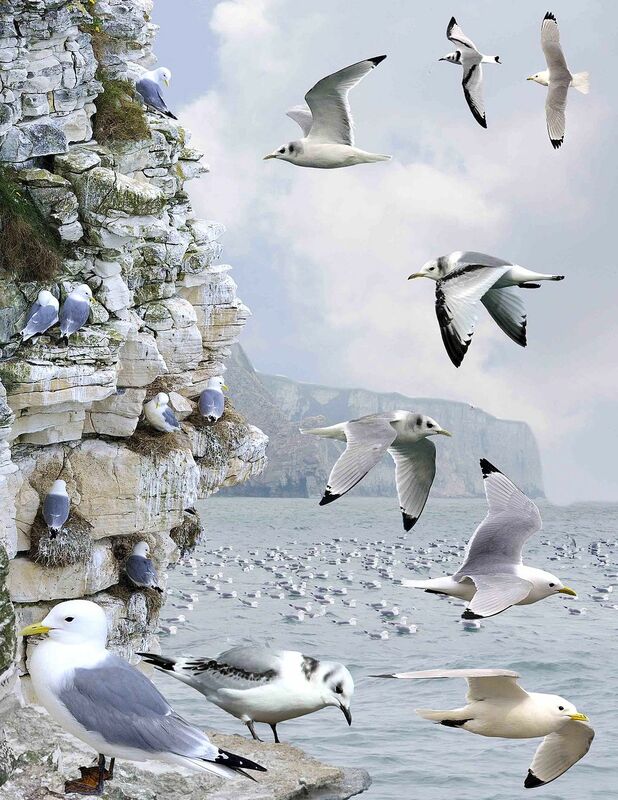 The image below comes from the guide to Britain & Ireland, where kittiwakes are not uncommon locally where there are cliffs. Keith’s bird was in winter (non-breeding) plumage, as seen below, top left. Picture the scene. 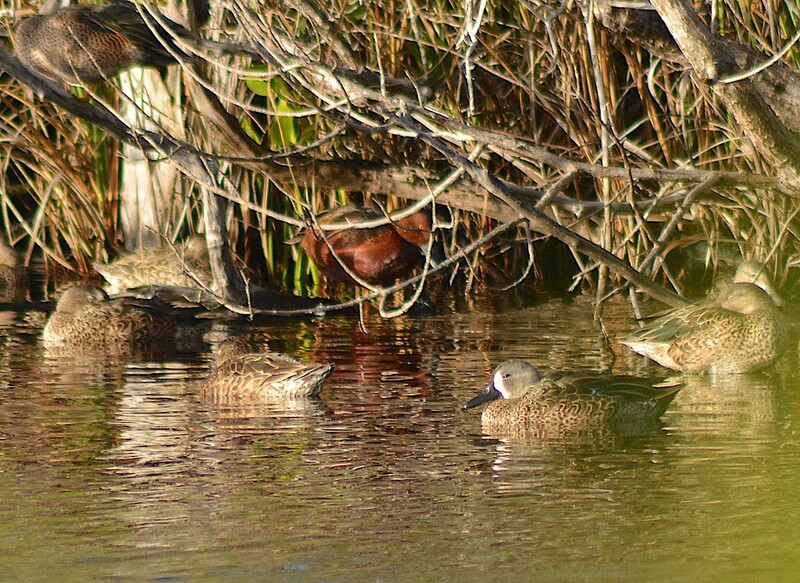 You take a camera to photograph the winter ducks on a local pond on South Abaco. Suddenly you notice something strange and out of place out there. Something unfamiliar. It’s a duck for sure; but not one you’ve ever seen before in your life. Maybe it’s one you know about. Maybe you have no idea what it is at all, and have to identify it later on from a book or online. Anyway, you take some shots before it dabbles off into the overgrown margins of the pond, and leave with a modest air-punch: it’s a “lifer”. 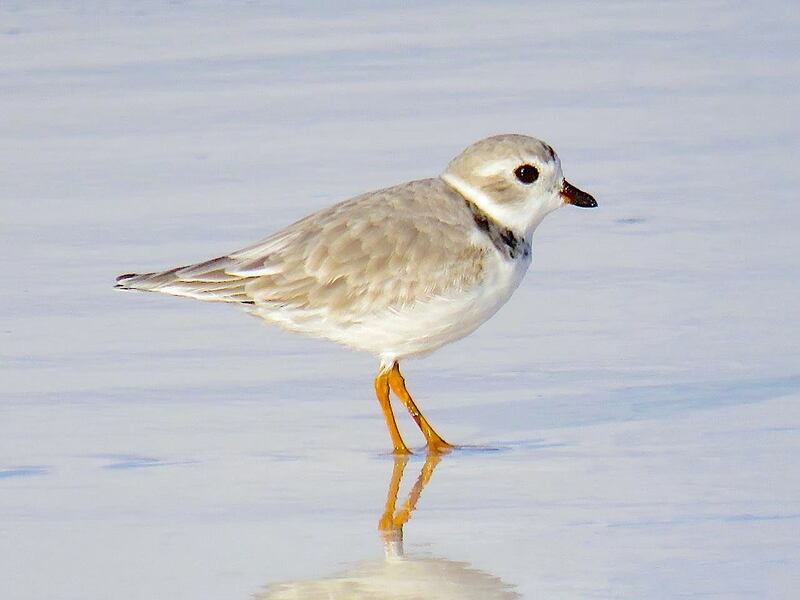 Keith Kemp, principal monitor for Abaco Piping Plover Watch, has just had this experience. 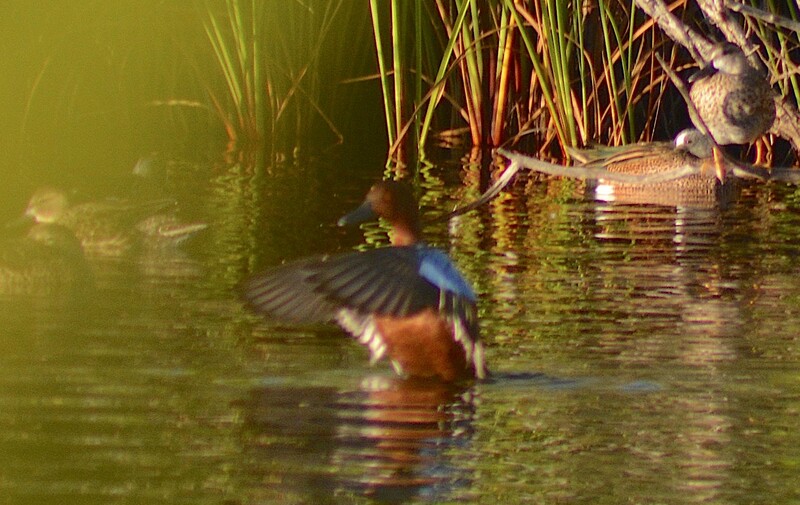 There, on the local pond with the blue-winged teal, was a stranger. For him, a “lifer”. 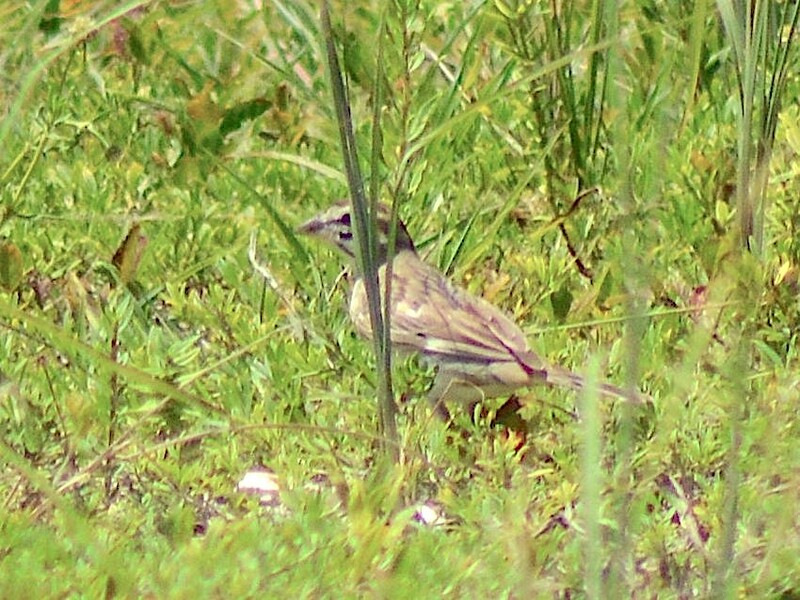 And as it turns out, for Abaco also a “lifer”. 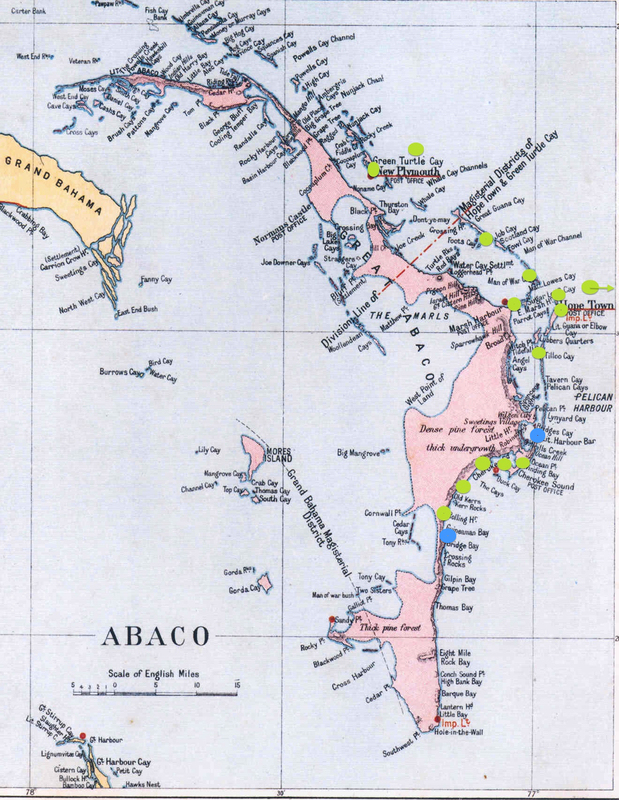 The only record of one I have found for the Bahamas is a single vagrant sighted on Andros (see range map below). 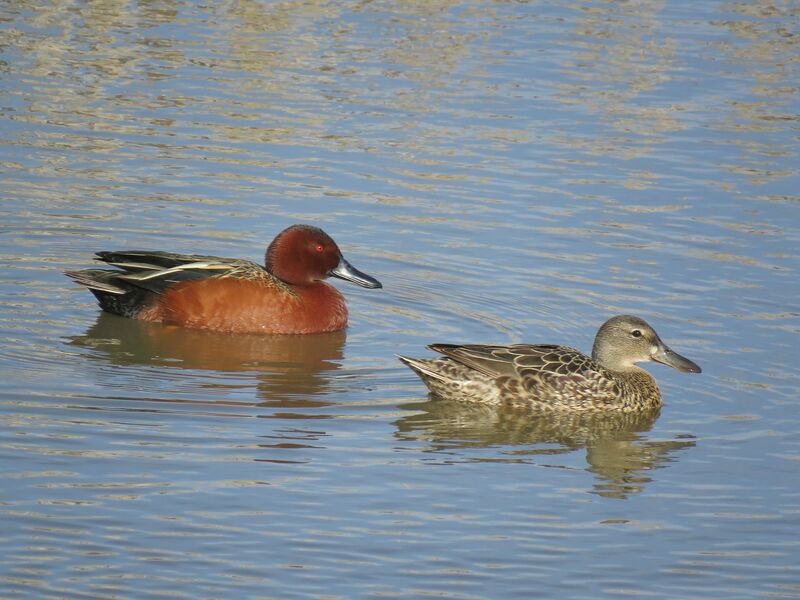 Here are Keith’s unique photos of Abaco’s first Cinnamon Teal. 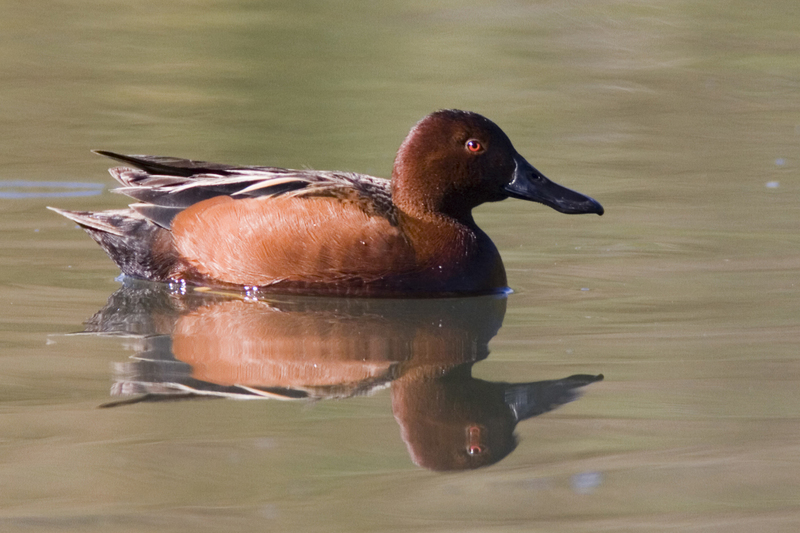 The cinnamon teal (Spatula cyanoptera) is a dabbling duck species found in western North America, and in South America. They live in and around marshes and ponds, feeding mostly on pond-weed and plants, along with any attached aquatic insects. On the range map below, note the single red dot in the Bahamas denoting the single vagrant sighting on Andros. 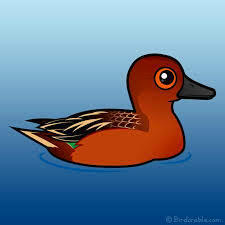 The duck is named for the overall colouring of the adult male has a cinnamon-red head and body; and it has startlingly noticeable orange-red eyes . The adult female, as is so often the way, is rather less showy – a mottled brown, with a pale brown head, brown eyes, and a grey bill. 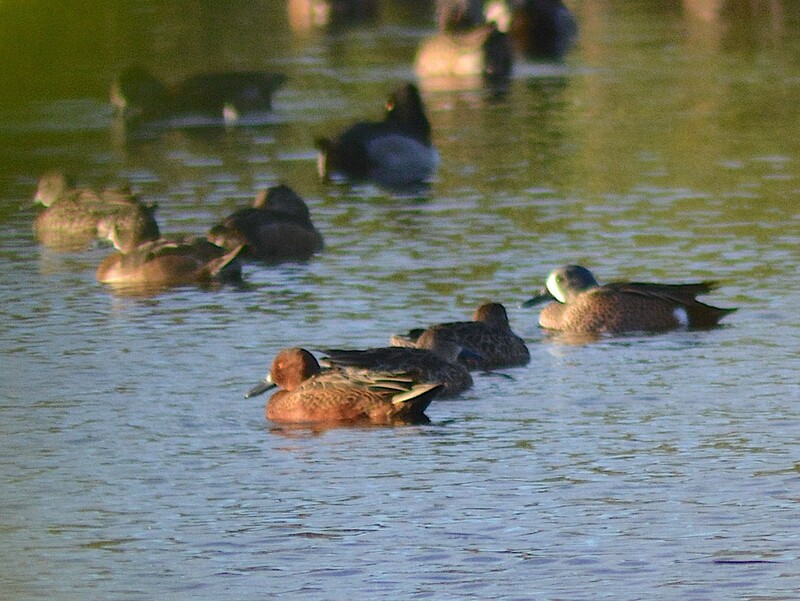 For those who like comparisons, it resembles a female blue-winged teal, a few of which are shown above (not the ones with the white stripe on the face, which are male blues). 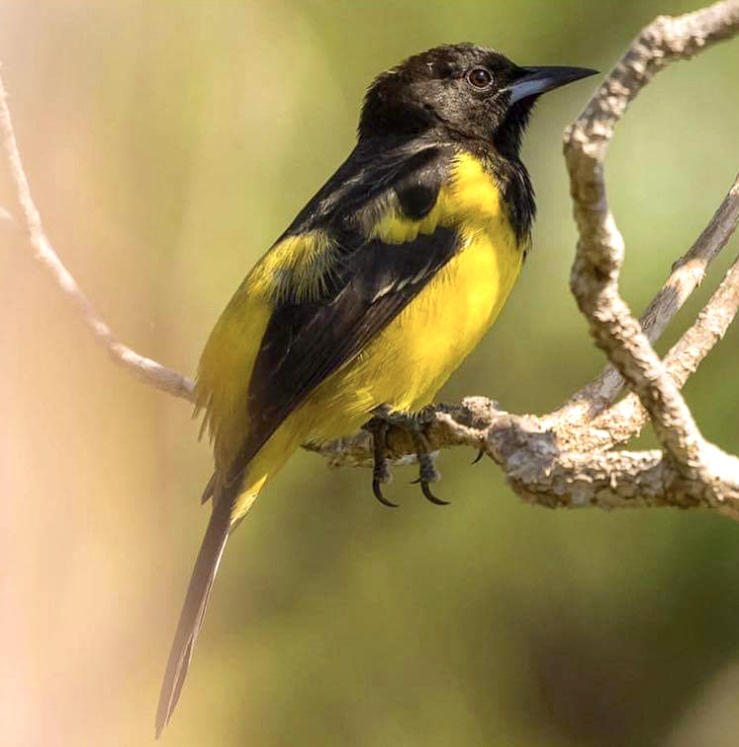 Since the publication of BIRDS OF ABACO in 2014, with its comprehensive checklist of all recorded species since 1950, several new species have been sighted on Abaco. The latest was only last month – the SCALY-NAPED PIGEON. Now we have a new species of duck. Conveniently, there’s no other ‘regular’ duck species quite like it. 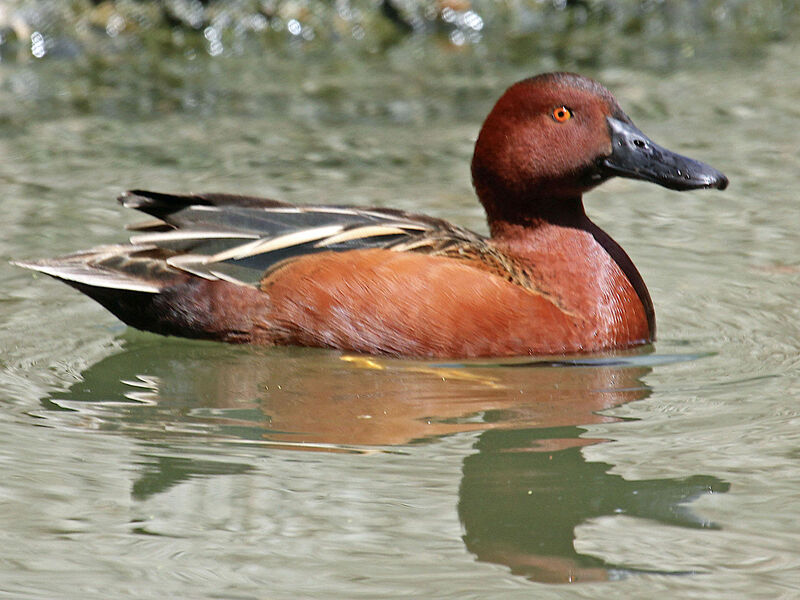 So if you see a pretty cinnamon-coloured duck on a pond near you, you’ll be looking at the newest ‘Bird of Abaco’. And if you do see one, please share the news! 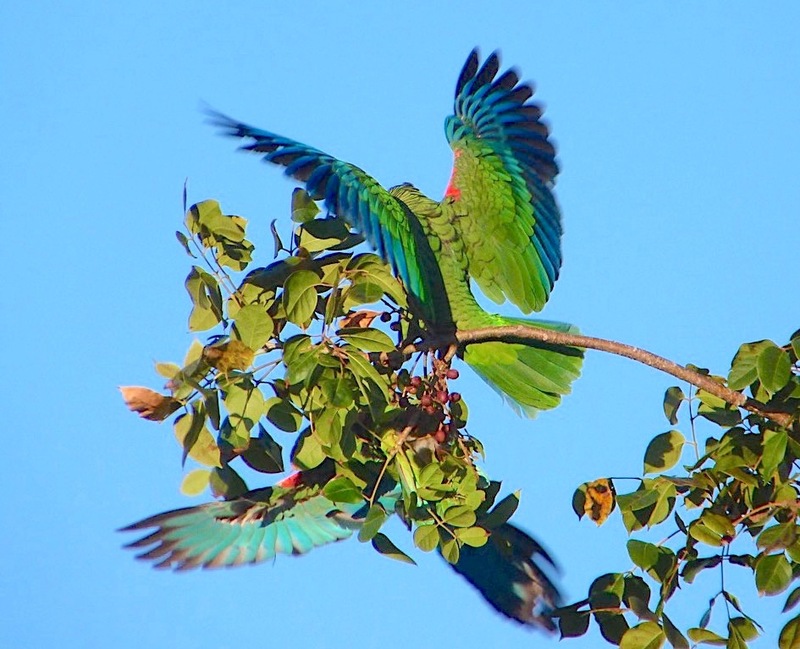 There’s a category of bird in the Bahamas known as a ‘V5’. 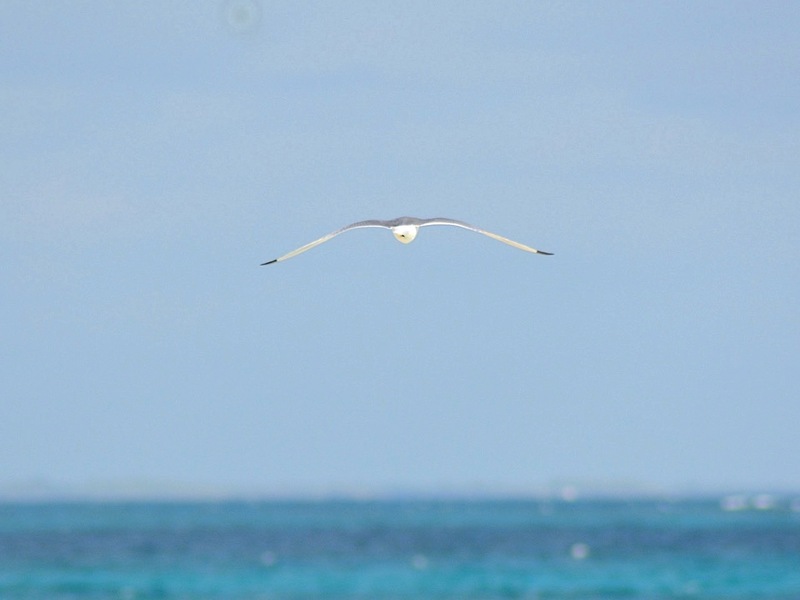 The V stands for vagrant: a ‘foreign’ bird that ends up on Abaco by pure mischance. 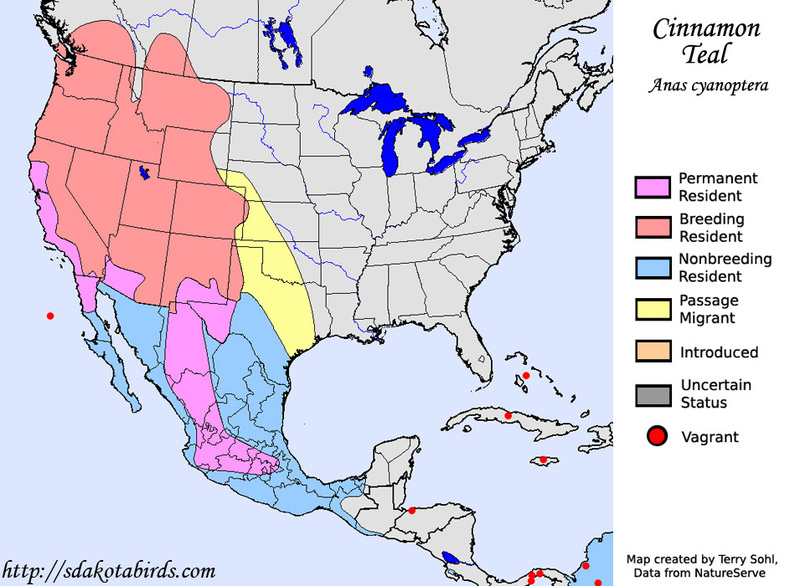 Whether through meteorological mishap (a storm for example) or navigational error, a bird that ought by rights to be found elsewhere turns up. That’s the first part of the rarity. The second part is that someone actually sees it, knows what it is (or may be) and reports it. The 5 part of V5 means that historically there may have been one, perhaps two previous reports of that species. Ever. More than 5 separate sightings, and the bird slips into the far less exclusive V4 category. The only category rarer than a V5 is an H. This stands for hypothetical, a bird that has been ‘credibly reported’ but where further confirmation is needed. Often, that never comes. 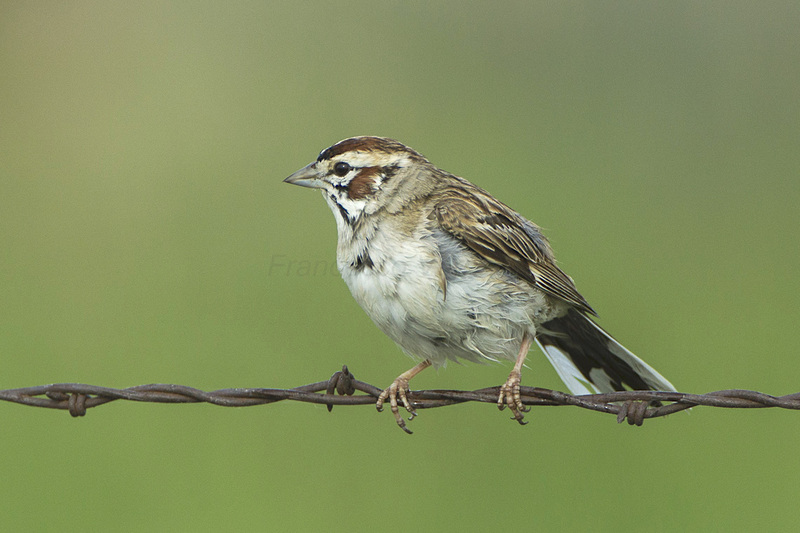 The lark sparrow (Chondestes grammacus) is a fairly large sparrow, familiar enough in parts of the US and Canada. Until this August, there had only been a couple of reports on Abaco since records began. I’m not aware of any photographs from those sightings. 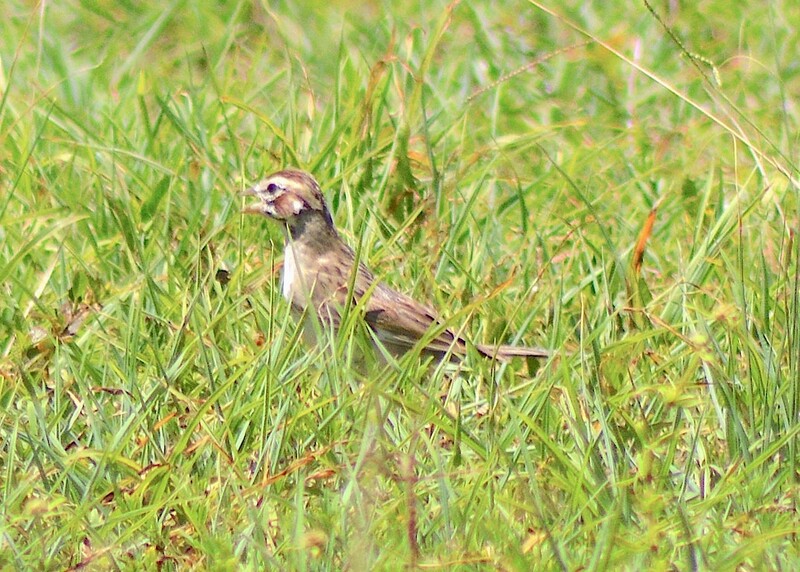 Then in August, birder Keith Kemp was at Bahama Palm Shores bird-spotting with his keen-eyed nephew Christopher, who saw a sparrow-like bird fly into low grass near the beach. Keith managed to take a couple of photos of it, and later on checked his bird guides for ID… and lo! 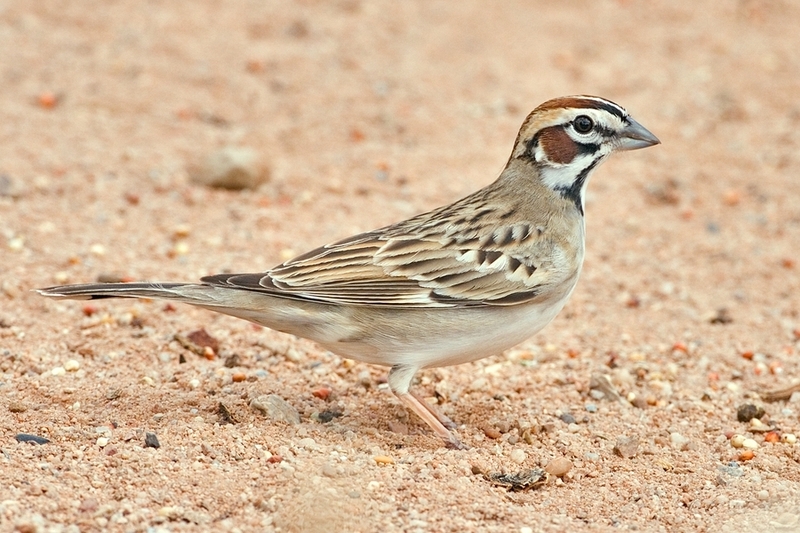 a lark sparrow. These are most likely the first photos of the species ever taken on Abaco – and there’s nothing like a photo, however hard to take, to provide confirmation of a sighting. Sept 6 2017. World Shorebirds Day dawns, even as the huge Cat 5 Hurricane Irma makes landfall over the small islands of the eastern Caribbean. 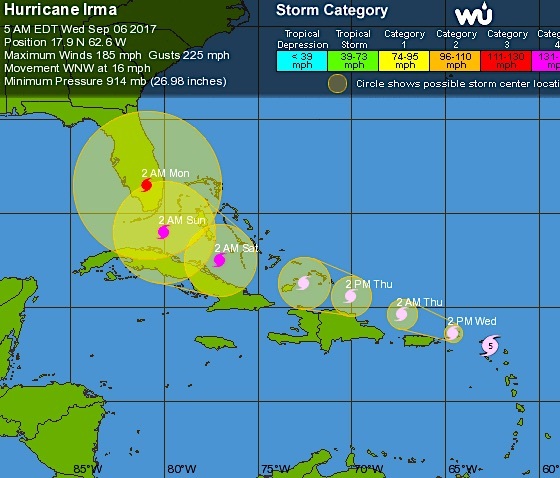 Irma’s path has been relentlessly westwards, for sure – but the path has been unnervingly variable. The tracking reports showed Abaco successively as being in line for a direct hit; then taking a sideswipe from the south; then completely clear of the cone prediction; then within the northern edge… and today, a right hook to the east suggests again that Abaco will take a hit from irma (though as a predicted Cat 4 or maybe 3). 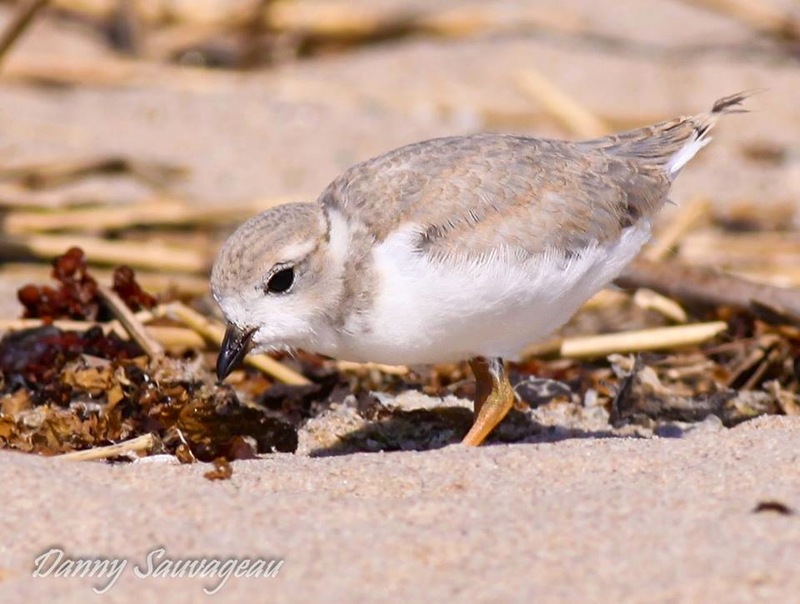 Far down the list of concerns in such a situation come shorebirds. Most if not all the islands that Irma will affect have wonderful shorebirds, both permanent and migratory. 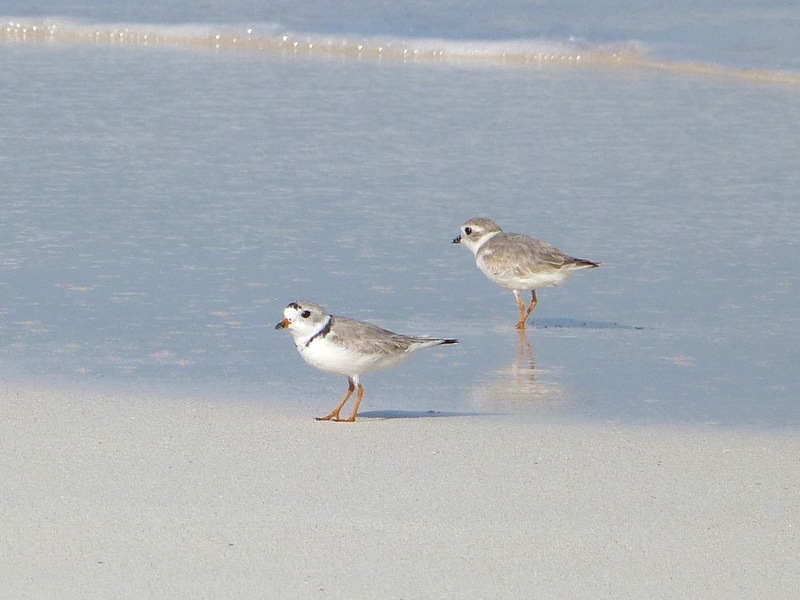 On Abaco my personal preoccupation is for the tiny Piping Plovers and our citizen scientist annual 6-month WATCH. Generally, the birds manage to find some cover at the back of the beaches to hunker down until the worst is past. But generally the beach populations are rather different after the storm, as birds scatter and take cover. Birds are resilient and resourceful. Humans too. But nature unleashed with full force is a terrifying prospect. From a safe distance of 4250 miles from Marsh Harbour, thoughts and best wishes from Rolling Harbour will be with all those in the path of Irma over the next few days. 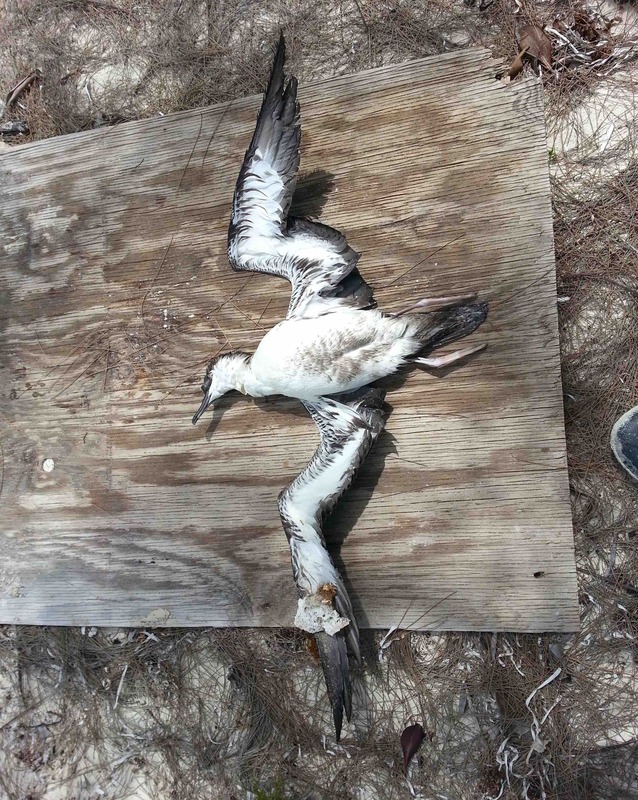 A week ago I posted about the reports of dead and dying Audubon’s shearwaters being washed up on various beaches on the Abaco mainland in and around Cherokee Sound and down to Bahama Palm Shores. I included some advice about how to deal with these poor birds. You can find the post HERE. 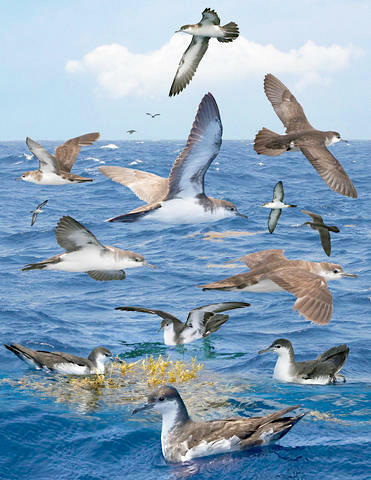 The very next day, reports began to emerge of another species, great shearwaters, being found dead or in a distressed state just off-shore or washed up on beaches. Reports were fewer, but covered a wider area, including a bird in a very poor condition at Delphi. 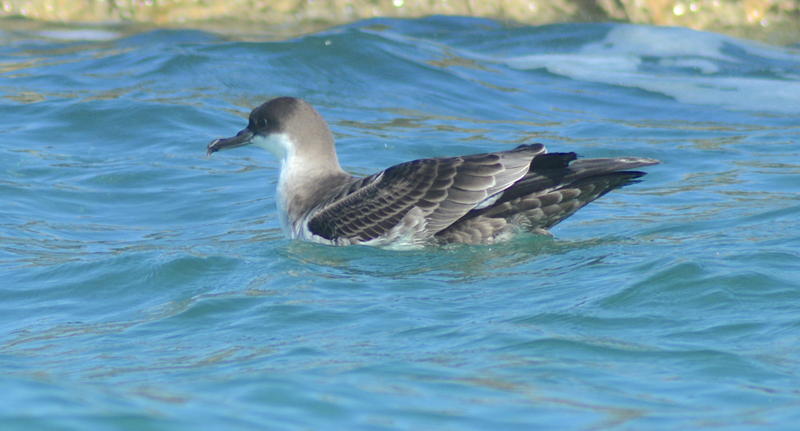 Great shearwaters were the ones involved in the die-back event 2 years ago. 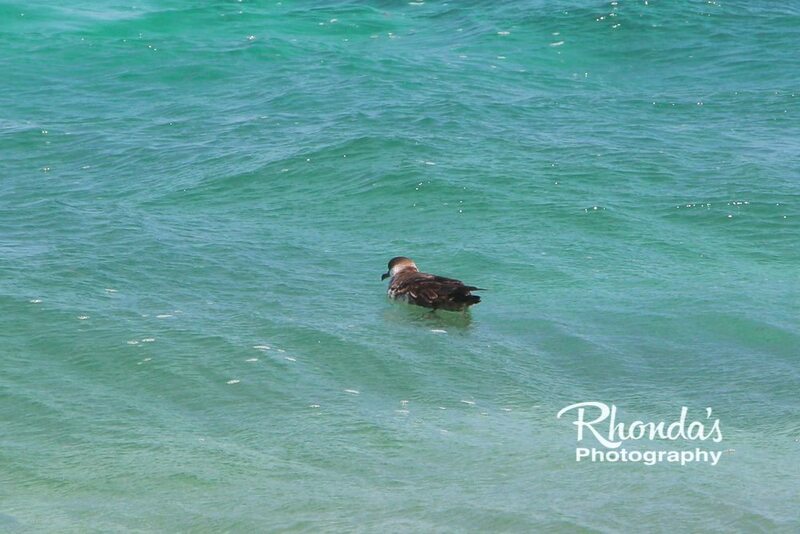 Keith Kemp, who made one of the earlier Audubon shearwater reports, found a young great shearwater in trouble in the sea while he was out in a kayak off Cherokee Point. He rescued it and took all sensible precautions to nourish it and make it comfortable but sadly it did not last the night. He has frozen the bird as a specimen in case analysis will help to explain this die-off event. Thankfully, during the past week, reports have gradually diminished. I’ve not seen one for a couple of days. With any luck, the current die-off is now over and will not be repeated for several years. However, another one will certainly happen, I’m afraid – maybe in 5 to 10 years time, the usual gap. Twice in two years has made for very bleak, distressing news. A more cheerful post will be next, I promise. Meanwhile, any further reports or comments would be welcome. 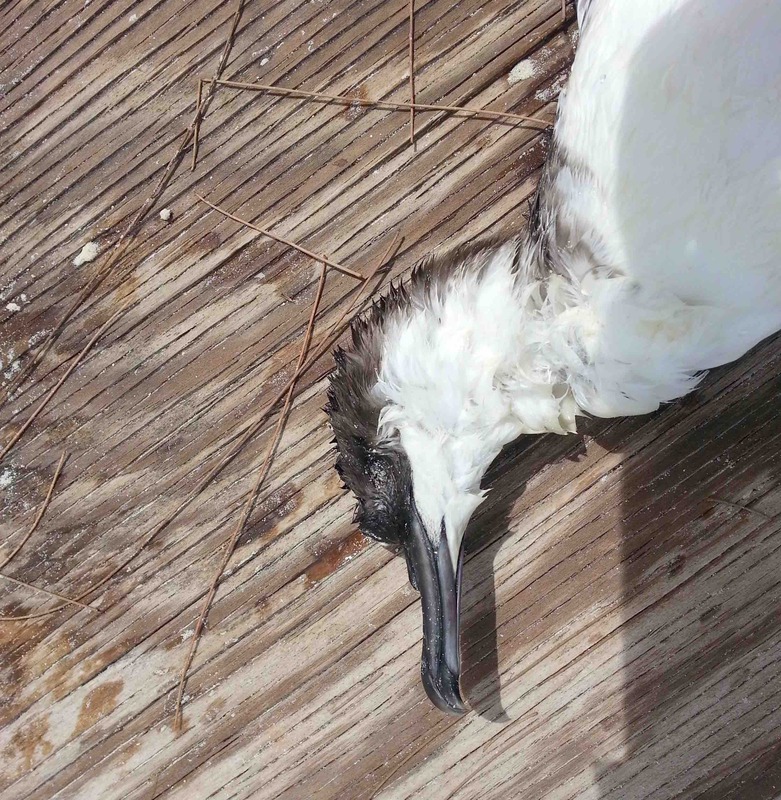 Just 2 short years ago, Abaco experienced a shearwater die-off event, when during a period of a week or so numerous dead and dying Great Shearwaters were washed up on many of Abaco’s beaches. You can read about it HERE and a follow-up HERE. This map shows the affected area in 2015. 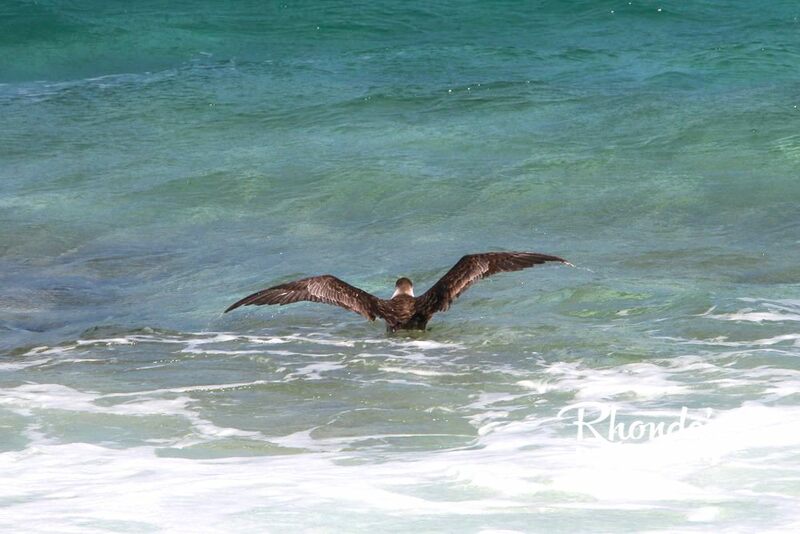 Now comes news of another such sad event, with a large number of Audubon’s shearwaters (Puffinus lherminieri) appearing in the tideline and on beaches at Bahama Palm Shores, Casuarina, Winding Bay and doubtless elsewhere. Many are already dead. Some are still alive, but in a very poor state. These upsetting beach finds seem to be a periodic phenomenon, and very likely result from climate conditions or shortage of food out in the ocean – or a combination. Although most will unavoidably have ingested plastics, that would not explain the simultaneous deaths. 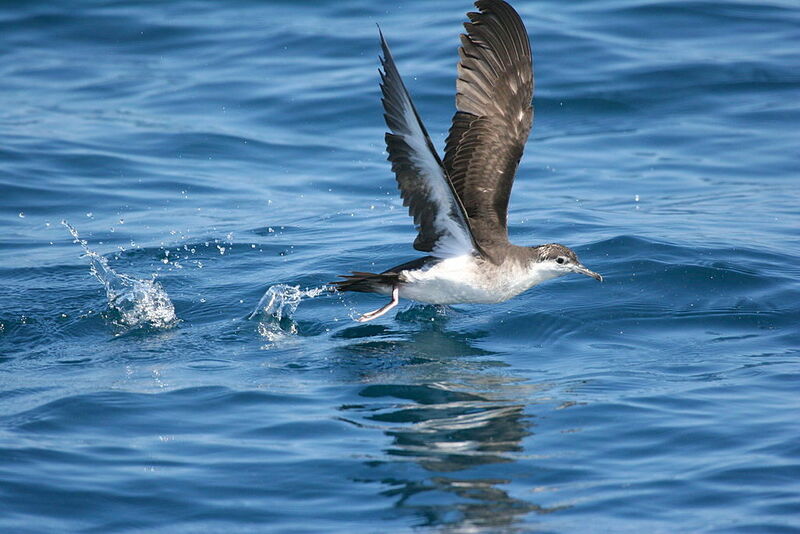 Poor fishing conditions – they eat fish and squid – will weaken and exhaust the birds as they try to find food. Woody Bracey thinks this the most likely cause, having noticed recent poor deep-sea fishing conditions and an unusual absence of the frigatebirds that are a sure sign of fish. The dead birds will be quickly removed by the turkey vultures. If you do find one, you might want to bury it. The prognosis for sick birds, sadly, is not good. They may have been carried a long way from open sea and they will be exhausted and starved. Those that are strong enough may recover naturally; but most will sadly die, being too weak and emaciated to survive. There is no available facility able to deal with a large number of very poorly or dying birds. (4) if it seems to be working, then carry on until the bird is strong enough to fly (this may be quite a commitment). (5) do not reproach yourself if a bird you try to help dies. Many will be in such bad shape by the time they are washed up that they are unlikely to survive whatever steps you take. This poor shearwater was one of a number of dead birds found by Keith Kemp at Casuarina yesterday. I realise such images can be upsetting, so I am confining photos of the birds to just two so you will recognise one if you see it. 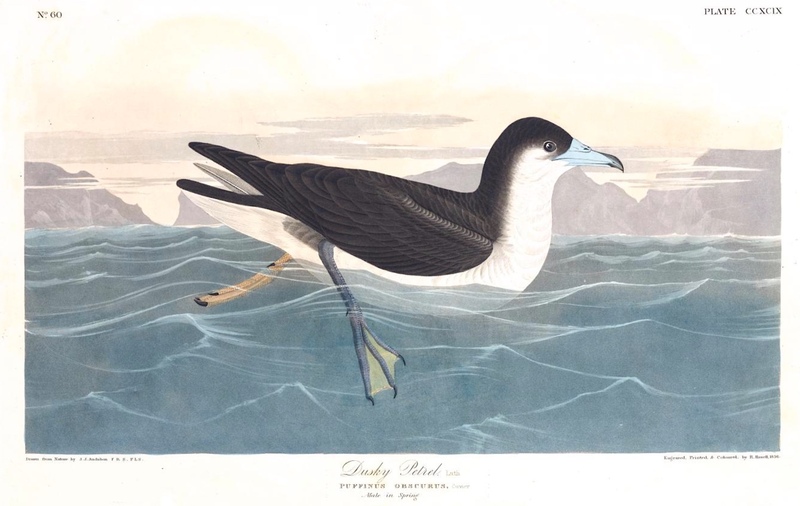 Finally, for those who wonder how pioneer naturalists went about their work observing a species, collecting specimens and recording their findings, here is Audubon’s own account for the ‘Dusky Petrel’, Plate 299 in his magisterial work. 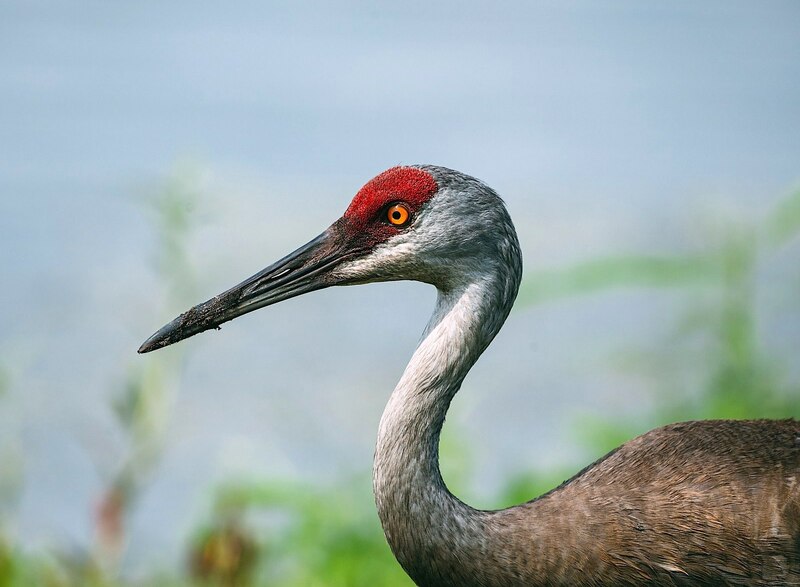 On the 26th of June, 1826, while becalmed on the Gulf of Mexico, off the western shores of Florida, I observed that the birds of this species, of which some had been seen daily since we left the mouth of the Mississippi, had become very numerous. The mate of the vessel killed four at one shot, and, at my request, brought them on board. From one of them I drew the figure which has been engraved (see above). The notes made at the time are now before me, and afford me the means of presenting you with a short account of the habits of this bird. They skim very low over the sea in search of the floating bunches of marine plants, usually called the gulf weed, so abundant here as sometimes to occupy a space of half an acre or more. In proceeding, they flap their wings six or seven times in succession, and then sail for three or four seconds with great ease, having their tail much spread, and their long wings extended at right angles with the body. On approaching a mass of weeds, they raise their wings obliquely, drop their legs and feet, run as it were on the water, and at length alight on the sea, where they swim with as much ease as Ducks, and dive freely, at times passing several feet under the surface in pursuit of the fishes, which, on perceiving their enemy, swim off, but are frequently seized with great agility. Four or five, sometimes fifteen or twenty of these birds, will thus alight, and, during their stay about the weeds, dive, flutter, and swim, with all the gaiety of a flock of Ducks newly alighted on a pond. Many Gulls of different kinds hover over the spot, vociferating their anger and disappointment at not being so well qualified for supplying themselves with the same delicate fare. No sooner have all the fishes disappeared than the Petrels rise, disperse, and extend their flight in search of more, returning perhaps in awhile to the same spot. I heard no sound or note from any of them, although many came within twenty yards of the ship and alighted there. Whenever an individual settled in a spot, many others flew up directly and joined it. At times, as if by way of resting themselves, they alighted, swam lightly, and dipped their bills frequently in the water, in the manner of Mergansers. I preserved the skins of the four specimens procured. One of them I sent to the Academy of Natural Sciences of Philadelphia, by Captain JOHN R. BUTLER, of the ship Thalia, then bound from Havana to Minorca. Two others were presented to my excellent friend Dr. TRAILL, on my first becoming acquainted with him at Liverpool. I found the wings of this species strong and muscular for its size, this structure being essentially requisite for birds that traverse such large expanses of water, and are liable to be overtaken by heavy squalls. The stomach resembles a leather purse, four inches in length, and was much distended with fishes of various kinds, partially digested or entire. The oesophagus is capable of being greatly expanded. Some of the fishes were two and a half inches in length, and one in depth. 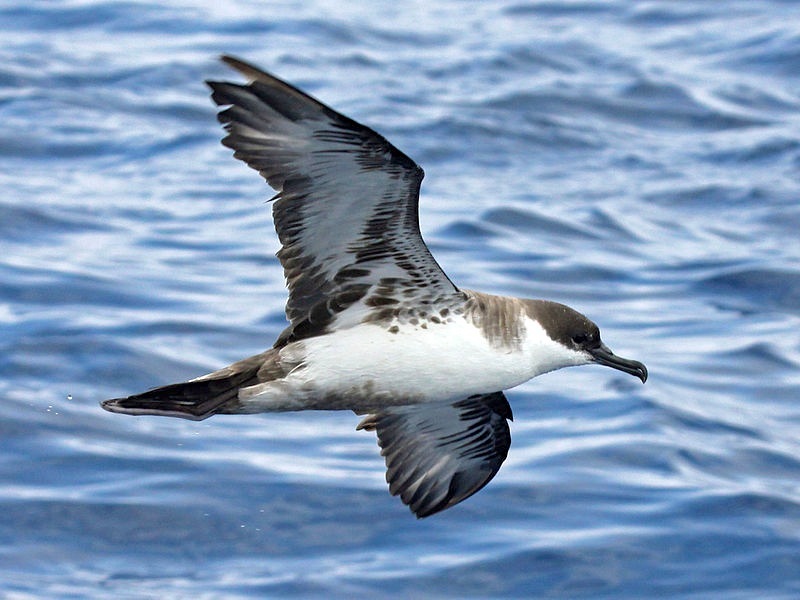 The flesh of this Petrel was fat, but tough, with a strong smell, and unfit for food; for, on tasting it, as is my practice, I found it to resemble that of the porpoises. No difference is perceptible in the sexes. 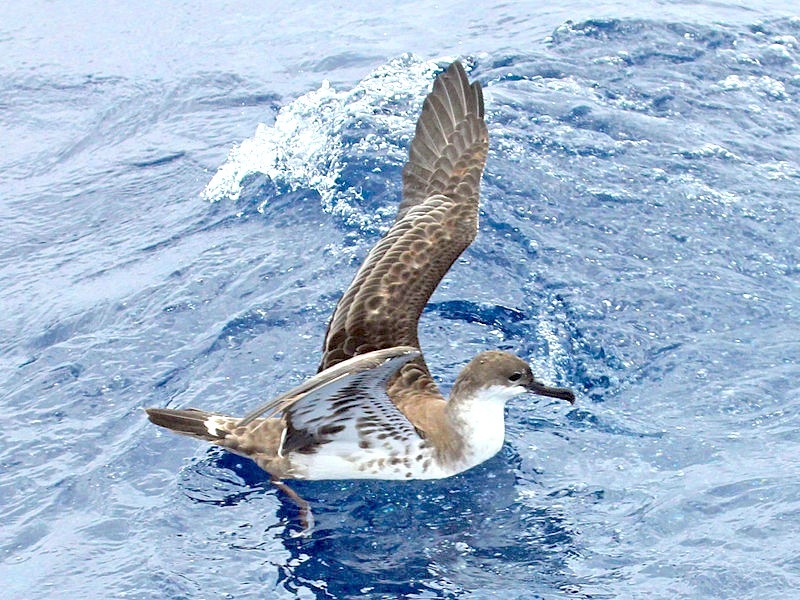 While on board the United States revenue cutter Marion, and in the waters of the Gulf Stream opposite Cape Florida, I saw a flock of these birds, which, on our sailing among them, would scarcely swim off from our bows, they being apparently gorged with food. As we were running at the rate of about ten knots, we procured none of them. I have also seen this species off Sandy Hook.